Arkansas State Parks was recognized for its Geographic Information System (GIS). LITTLE ROCK, Ark. (News release) – Arkansas State Parks has been chosen from a field of 300,000 candidates to receive a Special Achievement Award. This comes from the internationally recognized Environmental Systems Research Institute (Esri) for innovative use of technology. The Department of Energy and Environmental Protection said fall camping has been cut at state parks due to the budget. According to a DEEP Spokesperson, state park summer season has always been Memorial Day through Labor Day, fall camping existed for few parks, but now Labor day is when camping season will end at all parks. According to the Department’s website, of the 14 state parks and forests that offer camping, four are already closed for the year. A DEEP spokesperson said Silver Sands and Hammonasset Beach State Park were the two parks slated to be open until Columbus Day, but both will close after September 4th. Campers were disappointed to hear the news, especially North Haven resident Michael Thibault who said a trip to Hammonasset has been a family tradition for 20 years. Eighty-three-year-old Ralph Deckett stood outside the Curt Gowdy State Park visitor center, broom in hand. Now retired from the FBI, Deckett spends much of his time looking after museums and recreation sites like Curt Gowdy, where he had been volunteering since the beginning of July. “We just try to keep it nice, the best we can around here. It’s amazing how people can trash out a place,” Deckett said. And Deckett is not alone. Driving around the park, Assistant Superintendent Darrell Richardson told me Curt Gowdy depends on volunteers like Deckett. “Our volunteer program is one of the biggest things we have going for us around here,” Richardson said. During the summer, Richardson said, Curt Gowdy’s campsites are full. The trails are well trafficked. And for many people, disposables are part of the outdoor experience. Curt Gowdy employs only two full-time staff and two part-time staff. About 20 volunteers and a few seasonal workers do the rest of the work picking up trash. To pay for that help, state parks use entrance fees and Wyoming’s general fund. According to Curt Gowdy Superintendent Bill Conner, waste disposal takes up about ten percent of the park’s budget. Each week, he said, a private company empties twenty dumpsters spread across the park and drops the waste in Cheyenne’s landfill. 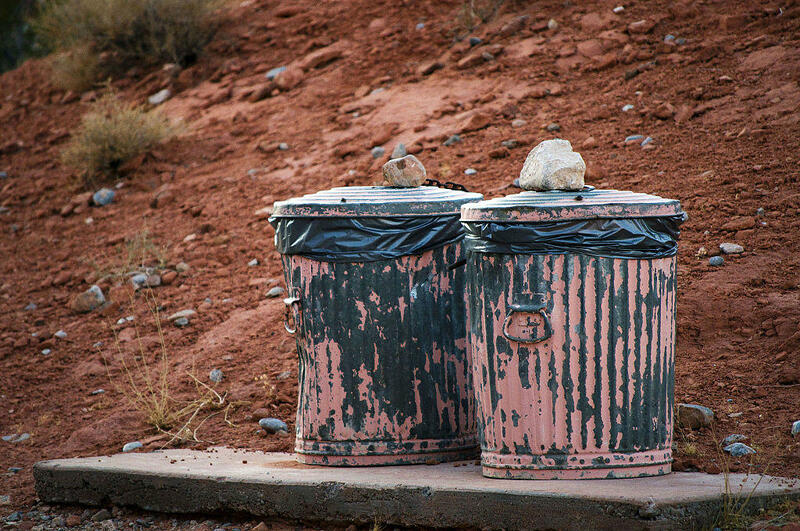 Richardson said he is not aware of any entities that could transport recycling from Curt Gowdy. https://www.stateparks.org/wp-content/uploads/2016/07/WY-SP-logo.jpg 168 300 NASPD http://www.stateparks.org/wp-content/uploads/2017/08/Americas_State_Parks_Logo-300x188.jpg NASPD2017-08-05 19:15:362017-08-05 19:15:36Can State Parks Keep Waste Out Of Landfills? An in-depth study of Chicago neighborhoods in 2011 and 2015 suggests that parks and greenways could play a role in reducing crime. During that time, crime of all types decreased at a faster rate in neighborhoods along Chicago’s 2.7-mile Bloomingdale Trail – better known as The 606 – than in similar neighborhoods, according to research published in Environment and Behavior. 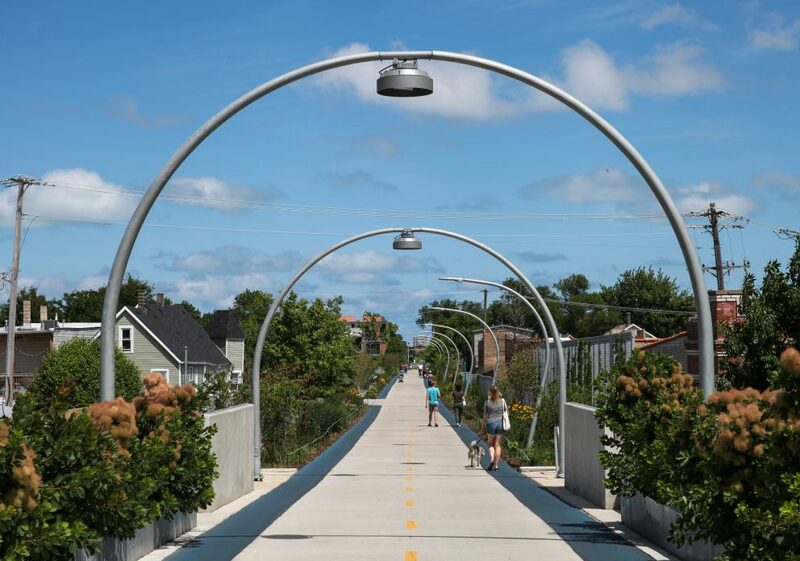 The new elevated greenway, built on an abandoned railway line northwest of downtown, connects diverse neighborhoods. University researchers from Clemson and North Carolina State drew on census data to find Chicago neighborhoods that shared similar socioeconomic characteristics with neighborhoods along The 606. Using City of Chicago crime statistics, researchers compared crime rates for June-November 2011, before the greenway opened, with rates for the same period in 2015, the trail’s first year of operation. Several factors could have contributed to a greater drop in crime along The 606 over the four-year period, said co-author Lincoln Larson, an NC State faculty member who has previously studied greenway use in urban Atlanta and suburban San Antonio. After looking at crime patterns on a city scale, researchers zoomed in on crime rates within walking distance – a half-mile – of The 606. Their analysis showed that property crime decreased at a faster rate in neighborhoods closest to the trail, said co-author Scott Ogletree, a Clemson graduate student. There were no significant differences in rates of violent or disorderly crimes. Ogletree noted that the city invested in lighting, installed security cameras, increased police presence and added access points along the trail, which tourism officials promoted as a “must-see” destination for visitors. Before a recent uptick, Chicago crime rates had been falling in many neighborhoods. Could investments in park-based urban revitalization be part of a long-term solution? Harris said one example of quality neighborhood programming is The 606 Moves, a dance workshop offered in pocket parks along the trail with support from the city. https://www.stateparks.org/wp-content/uploads/2017/08/Unknown.png 97 519 NASPD http://www.stateparks.org/wp-content/uploads/2017/08/Americas_State_Parks_Logo-300x188.jpg NASPD2017-08-02 03:47:222017-08-02 03:59:03Study: Greenways Fighting Crime?